But to beat the heat and enjoy the great outdoors, I have just the recipe that blends with these scenarios: Brownie Flavored Frozen Hot Chocolate! This recipe is one of our favorite ways to cool down and one of the most requested in my household. Brownies, Swiss Miss® Milk Chocolate Hot Cocoa Mix, and Reddi-wip® Original Whipped Topping. Brownies – homemade brownies are the perfect dessert to quell anyone’s sweet tooth, and they can be eaten at any time of the year. These Fudgy brownies are egg free, have a crinkly top, and so delicious! Swiss Miss® Milk Chocolate Hot Cocoa Mix – It is made with real milk. For more than 50 years, Swiss Miss® is creating their signature blend in Menomonie, Wisconsin. All their products are packaged here in the USA. Swiss Miss® support more than 80 local dairy farms that supply the company with farm-fresh milk every day. I decided to fuse together these two amazing tastes and combine into one tasty drink. Finally topped my drink with Reddi-wip® Original Whipped Topping, brownie crumbles, pearl milk studs, colorful marshmallows, and this combination was the ultimate chocolaty drink! This drink is SO not a chocolate milkshake! This Brownie Flavored Frozen Hot Chocolate is a delicious combo of a hot chocolate mix, some milk, and ice. It tasted like hot chocolate…. but more like a granita. It was partly slushy, partly liquid. A phenomenal frozen drink perfect for all age groups and it appeals to everyone!! Start by making the brownies first. Once baked, allow it to cool completely. 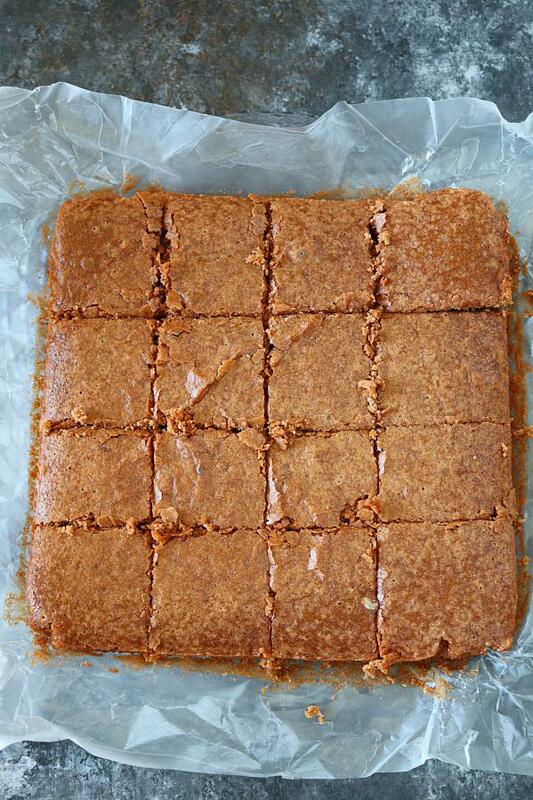 Cut the brownies up into small pieces and set it aside. Prepare the cocoa mix using the delectable Swiss Miss® Milk Chocolate. Transfer this mix along with some milk, ice, and cooled brownies to a blender. Blend until smooth. That’s it! Brownies will grind down into little crumbles. Blend until it sort of looks like a slushy. Once you have achieved that consistency, fill up your mugs. Add Reddi-wip® Original Whipped Topping, top with colorful marshmallows, brownie crumbles, sprinkles, and dig in! add nuts or cookies for extra crunch. Some tested ones are – pecans, almonds, and hazelnut. Either way, this drink is perfect for any situation, whether it be a small get together to a big party. You will love the versatility of Swiss Miss® Milk Chocolate Hot Cocoa Mix. Simply combine the cocoa mix with your choice of milk, flavoring, and ice, and create delicious frozen treat at home during the summer months. Slurp it with a straw or dig in with a dessert spoon. Either way, its PERFECT! You can purchase Reddi-wip® Original Whipped Topping at Walmart in their dairy section and Swiss Miss® Milk Chocolate Hot Cocoa Mix in the coffee/creamer section. For more frozen hot chocolate inspiration visit this link here. Do give this recipe a try and share your pictures with me. Combine all the ingredients listed under'Brownie' in a large bowl and mix until the batter is smooth. Pour in a greased and lined baking tray and bake @350 degrees F for 30 minutes or until the toothpick comes out clean. Allow it to cool completely. Cut into squares and set it aside. Boil water in a pan. Empty 2 packets of Swiss Miss® Milk Chocolate Hot Cocoa Mix into the water. Transfer the above-prepared cocoa milk along with milk, and cooled brownie to a blender. Brownies will grind down into little crumbles. Blend until it sort of looks like a slushy. Fill up your mugs and add Reddi-wip® Original Whipped Topping, top with colorful marshmallows, brownie crumbles, sprinkles, and dig in!